More than just your typical doctor's office. offering you a unique approach to get well and stay well. At Integrative Medicine of NYC we provide unmatched convenient healthcare in a fast moving city, with a staff of caring board certified doctors, supporting medical staff, the latest in treatments and diagnostics we concentrate on an integrative approach to treat our patients.  At Integrative Medicine of NYC patients will find a wide range of services that treat the individual. Integrative medicine puts an emphasis on functional, holistic and internal medicine. Located in the heart of New York City, between Rockefeller Center and Times Square, Integrative Medicine of NYC is a full service, state-of-the-art medical center with integrative doctors who takes a different approach to healing acute and chronic conditions, as well as maintaining your health. Our practice specializes in Internal Medicine, Primary Care Medicine and Travel Medicine using an integrative approach and Integrative Treatment methods to accommodate all of your health needs. When choosing Integrative Medicine of NYC you’re not only choosing a highly trained medical professional, you’re choosing someone who’s committed to partnering with you to improve your over health and well-being. "My experience was amazing. Dr. Efranian-Sabaee was patient, kind, and invested in helping me seek the proper care and treatment I need. All staff members I interacted with were helpful and professional as well. I would highly recommend!" "Dr. Sabaee is the best doctor I've seen in my last 3 years in NYC. The office is brand new, everything is clean, no wait time to speak of, staff is very friendly and down to earth. Dr. Sabee is very geniune and truley cares for her patients well being. 10/10"
"Dr. Nissim is the best! Thorough and direct with a focus on the current issue plus preventative care and overall lifestyle tips to help you achieve optimal health and balance. Easy to talk to, listens to your concerns and answers your questions. Highly recommend. " "I highly recommend Dr. Connolly. She was professional, extremely knowledgeable and demonstrated excellent tips to alleviate my heel pain, which is working splendidly. I have a spring in my step again. " "Dr. Sabaee has great bedside manner, she was thorough in asking questions and discussing treatment options. Kept the visit timely. No wait time." "Dr. Mozhgan Erfanian-Sabaee is the most wonderful and caring doctor I know. My experience with this doctor was more than I've expected. As I said; caring, understanding and passionate doctor, who really wants you to be well. She listens to the patient's concerns and dedicates a good maount of time to answer all the questions you have. This was a really pleasant and stress free experience. I highly recommend this doctor and this office in general. Very nice staff, less than 5-10 min wait." "I had a fantastic appointment with Dr. Sabaee. She was kind, caring and extremly efficient. The staff was great as well. I would highly recommend her and this office to everyone." "Dr. Connolly was very understanding and patient; professional and attentive to my needs. She expressed her expert diagnoses regarding my condition, and offered different treatment options that would address the problem. I will definitely give Dr. Connolly name to my friends if they are seeking an excellent podiatrist." "Dr. Nissim was very warm and welcoming. She took the time to listen to my issues and addressed them accordingly. At no point in time that I felt rushed which says a lot about her bedside manner. I am looking forward to having Dr. Nissim as a long time doctor." "Everyone at Dr. Misra's office was really nice and helpful"
"Beautiful office. Extremely nice staff. Dr. Misra was really wonderful." "Highly recommend! Got seen super quick! Dr Misra and the staff were simple great! She was very detailed with all my concerns and took her time to explain everything." "Everyone from the receptionists to the nursing staff to Dr. Misra was incredibly friendly and professional. They seem to really listen and genuinely care about their patients. This was my first doctors visit in a few years and think I've hopefully found a doctor who I can trust and stay with for a while!" "Great experience and no wait time. She's thorough and listened to all of my concerns. Would recommend her to others!" "She was very thorough and professional. She had a lot of patience and spent as much time with me as needed to answer all of my questions." "Thorough. Impressed with her knowledge so far. Beautiful office. She also appears to take a somewhat holistic approach to medicine which I appreciate personally." "Dr. Misra is always knowledgeable, friendly, helpful, and sees me quickly. The staff is great as well. I'm so glad I started going to her!" "Dr. Misra was wonderful, and very knowledgeable. She made me feel very comfortable and the staff was also extremely nice." "Dr. Misra and her colleagues are fantastic. Prompt to be seen and great evaluation process. Thanks!" "Pleasant, efficient and knowledgable. Very nice office and staff." "Didn't have to wait at all. She was very thorough and caring about my well being. Highly recommended." "She was warm, engaging, and attentive. I'll definitely be back." "I came late and was worried that I wouldn't be seen, but I was taken back the moment I completed my intake form, and the Dr. Mists came in about 2 min after k had my vitals checked. She was incredibly friendly and open and honest, and made me feel very comfortable. I would definitely have her as my PCP in the city!" "Her staff was excellent and Dr. Misra is very thorough and helpful." Get In Touch With Us, We're Available! Need More Info? Have A Question For The Doctor? Whether you need more information, have a question about your personal health concern, or have a question about insurance, contact us and let us help you. Make the first step to a healthy life and Call Us At (212) 242-5300 or use the form below and we will get back to you shortly! Thank you for requesting information! We are looking forward to working you on your journey to wellness and will contact you shortly. You can reach us in the meantime at 212-242-5300.